There are certain words or phrases that you associate with certain states like royalty with Rajasthan, culture with West Bengal, fun with Goa, cosmopolitan cauldron with Delhi and smart with Mumbai. But when it comes to Tamil Nadu, the first two words that come to the mind are legacy and tradition. Known as the seat of Dravidian culture and tradition, Tamil Nadu has enthralled travellers with its myriad combination of culture, natural resource and heritage. As you travel through this land and choose your top 6 places to visit in Tamil Nadu, you are bound to take a dip in the pages of history.From Cholas to Pallavas, there were several dynasties that have left their indelible mark on Tamil Nadu. Splendid temples, regal structures, breathtaking monuments – everything about Tamil Nadu are connected with grandeur and beauty. Let’s take a walk through some of the beautiful cities of Tamil Nadu. No discussion about Tamil Nadu is complete without a proper mention of Chennai. The home of superstar Rajnikanth, the place of Marina Beach and the seat of music and art: Chennai promise to be an enriching experience. But Chennai is more than all these. And if you are looking forward to absorb the essence of Chennai, you have to go to Mylapore. Known as the oldest residential neighbourhood of Chennai, this was frequented by ancient Egyptians, Romans, Chinese and Greeks. Kalpeshwar Temple is quite famous here. And as you walk through the alleys, you will simply feel as if you are taking a trip through the memory lane. As you chalk out the places to visit in Chennai, spare some thoughts for Alamparai Fort. This is located in the outskirts of Chennai and is almost in a state of decadence. But the backwaters and the beach will simply amaze you, and you will understand why this place is popular among movie makers. When you want to absorb the flavours of a place, nothing is better than sampling its food. Since 1951, the Buhari chain of hotels has been making the delicious Chicken 65 which is a coveted delicacy in all over South India. It is believed that it was Mr. A. M. Buhari who has introduced this tasty dish to the world. Apart from Chicken 65, Buhari was also famous for Chicken 82 and Chicken 78! Considered as one of the oldest cities of the country, Mahabalipuram is every art lover’s delight. The stone carved temples are a must see. Mahabalipuram was one of the ancient port cities of Tamil Nadu and has been under the rule of the Pallava dynasty. Most of these temples in the region are part of UNESCO World Heritage site. 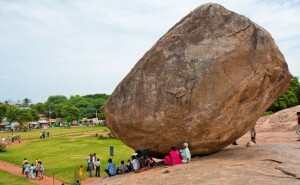 As you plan your sightseeing in Mahabalipuram, you have to include Arjuna’s Penance. This is a massive open-air sculpture which depicts almost all the activities during the penance period of Arjuna. As you look at the rock sculpting, you will be amazed at the intricate designs. Historical walks or tours are organized for the temples. You can take part in any of these tours. The cave temples which precisely date back to the 7th or 8th century in the time of Pallava dynasty should be your next stop. Dedicated to different Hindu deities, these temples are considered as fine specimens of art. 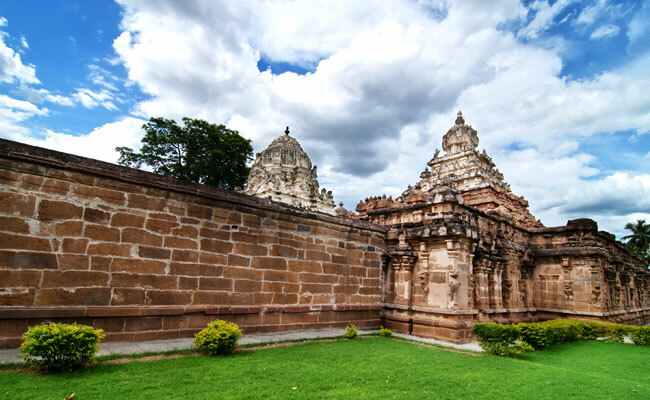 Shore Temple is cut out of fine granite and the architecture is distinctively Pallavian. But if history is to be believed then the temple is located on a place where there were 7 pagodas once which were destroyed by a tsunami. Maybe a little background research and reading through some history pages will allow you to enjoy the sights of Mahabalipuram better. Every temple has some interesting anecdote and knowing them will make the trip more intriguing. Pondicherry literally means ‘the new settlement’ (loosely referring to the settlement of French colonisers) and when you step inside this beautiful neat city, you are bound to feel the French connection. The French flavour is everywhere: be it architecture, the signs on the roads, the food or even the people, some of whom are more fluent in French than English! 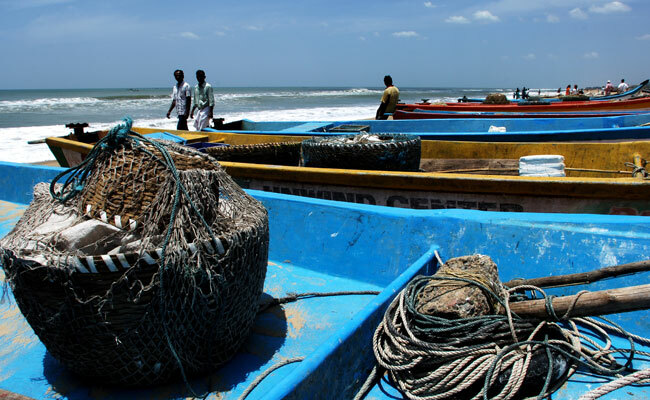 It will be a sin to miss out on Pondicherry when you make the top 6 places to visit in Tamil Nadu. 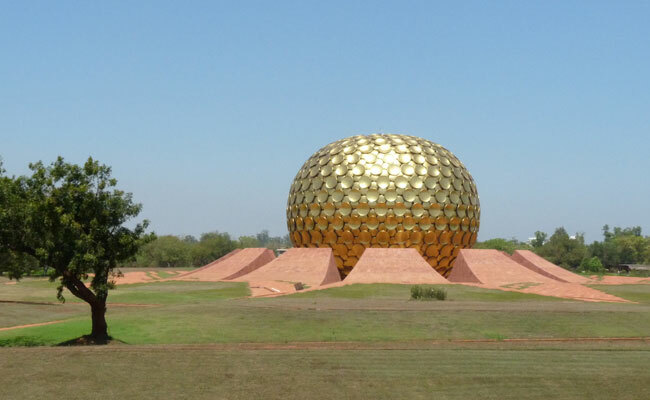 The Aurobindo Ashram is probably the biggest attraction of this place. The ambience is such, that you are bound to feel calm. As you walk with thousands of spiritual speakers, you may start questioning about the bigger questions of life. The beaches are beautiful, and the magical sunrise adds to its beauty. 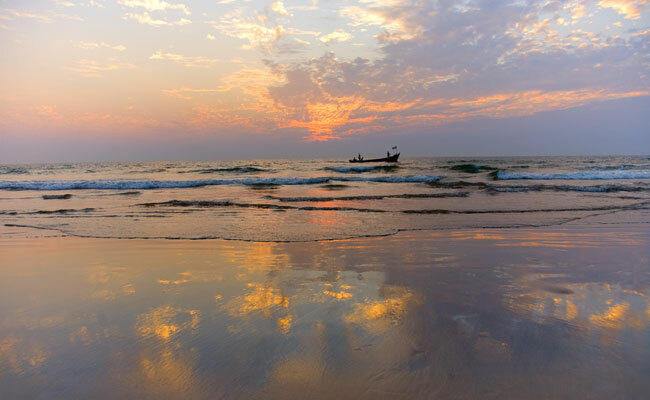 It is said that Pondicherry has one of the most beautiful sunrises in the state. And once your mind is satiated with the view, it is time to listen to the calling of your stomach. The quaint cafes or the bistro-style eateries serve excellent food; the flavours being a combination of South India and French. Those who are looking for authentic flavours will not be disappointed either. After a glass of good wine, you can walk down to the old Lighthouse which is considered as one of the major tourist attractions of Pondicherry. 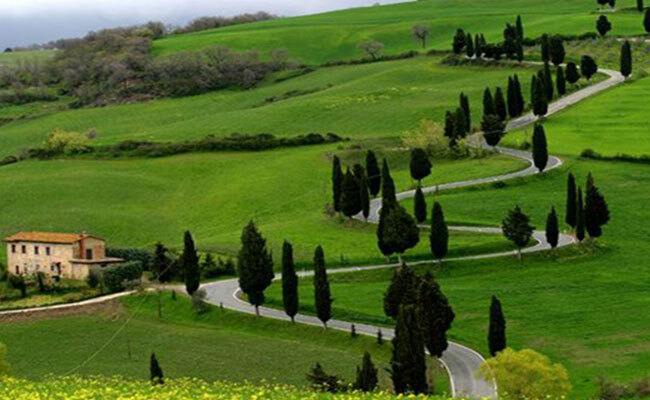 From the sea to the hills, your visit to Tamil Nadu will be incomplete without Ooty. Once an insignificant tribal hamlet, Ooty today features in the top 6 places to visit in Tamil Nadu. The majestic Nilgiri Hills will appear in its full glory before you. Wildlife enthusiasts will have ample reason to rejoice. And for the children in the group, a ride in toy train is a must which will take you to Conoor. It is the ‘old world charm’ of the ride that will remain etched in your memory for ever. Want to know more about the original inhabitants of the place? You must not miss your trip to the Toda hamlets. And you can also purchase a shawl made by the Toda women. And when you come back, do not miss a visit to the tea plantations. As you take a deep breath, the fresh flavour of the first flush will send you in a tizzy! 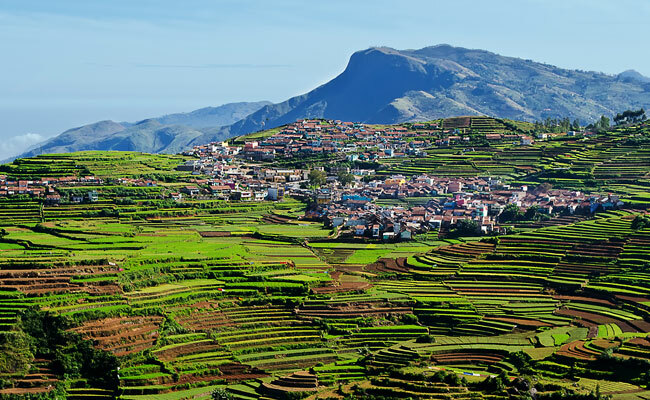 Another hill station which must be added to the list of must-visits in Tamil Nadu is Kodaikanal. Those who love the peace and quiet of hills can truly find some amazing places in Kodaikanal. A small orchard at the outskirts where you can sit undisturbed for hours can feature in your list. For those who are looking for some activities, a boat ride at the Kodaikanal Boat & Rowing Club can be a good option. Not willing to pedal? Maybe a Kashmiri shikara can be a good alternative. If it is not covered by mist, then the view from the Coaker’s Walk can be breathtaking. After a five minute walk to the top, you can have a view of 2000 meters below. But then you really have to be lucky to get a glimpse of Madurai from the top! Take a stroll through the Bryant Park which is beautifully landscaped. And after a busy day, a cup of coffee at Cafe Cariappa will be the perfect end. Take your pick from espresso, mocha, cappuccino or latte. As you look at the map of Kancheepuram, you will find that there are a large number of temples which are simply jostling for your attention. Among the main grand temples, the most famous are the Ekambaranathar Temple and the Shiva Temple. Some are famous for their architecture, some are prominent because of their size, and some are well-known for their beautiful carvings. The temperature is quite warm outside, but once you are inside the temples, coolness will embrace you and you will be transported to a different world. Standing in the middle of incessant chants, the soothing smell of the burning incense sticks and the constant chattering of the guide, you discover a different India. Words do get lost in translation, because it the ambience which creates the maximum effect on the mind. And while you are in Kancheepuram, you should not miss the silk sarees. Gorgeous to look at, you must carry one back home! Tamil Nadu has a diverse effect on its travellers. While you experience the rich history of the place, you will be stuck with the colonial influence of the past rulers simultaneously. Old and new goes hand in hand making it a pleasant combination for the onlooker. Also, not once will you feel the monotony, because the state has so much to offer. It is probably the diversity that makes Tamil Nadu one of the most coveted destinations among travellers from all over the world. And while you make a list of top 6 places to visit in Tamil Nadu, you will notice that unknowingly you have include a slice of everything what Tamil Nadu represents: heritage, art, nature, and modernization. Also Check our Tamil Nadu and Kerala video to get inspired by its beauty. For more information about the places to visit in Tamil Nadu, you can always contact me here: http://www.shantitravel.com/en/tailor-made-travel.